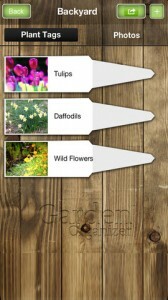 Garden Organizer iPhone App Review: How Does Your Garden Grow? 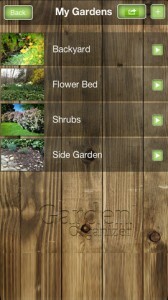 Garden Organizer is an iPhone app developed by CAVU Media, LLC. 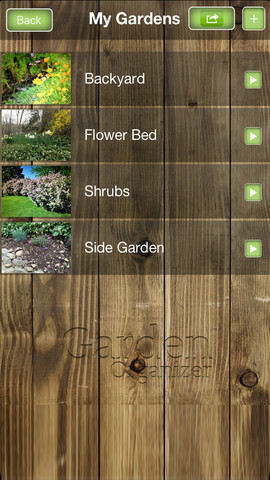 If you’ve always gardened the “old school” way, Garden Organizer is a great way to take your garden planning and record-keeping into the digital age. The women in my family all love to garden, but they aren’t always great at it…despite having all the passion in the world. The problem is often poor planning: The Farmer’s Almanac is surprisingly reliable, but many people’s gardens fail due to lack of poor planning or from choosing bad planning resources. 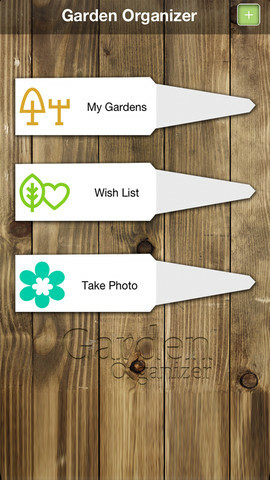 Garden Organizer is a totally genius app that allows you to easily record and track your garden. 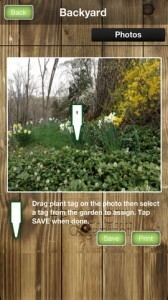 You can snap a picture of your plots, and use a visual tagging system to notate where you’ve planted seeds, bulbs, and more. That makes it simple to look up what a given flower is after it has bloomed! Forget those lame plastic tags that can fade in the sun: Garden Organizer is a far more reliable method of keeping your garden organized. Own multiple properties, or want to monitor multiple types of gardens? This app can handle that. 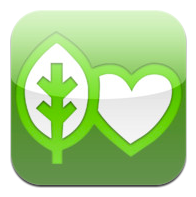 Want to share your garden breakdowns with others? Export your data to Excel or Facebook! Another aspect of this app I love (besides the simple UI) is the Wish List. This is a great place to keep tabs on interesting blooms that you want to track down the next time you’re at the home and garden center. Like any other Wish List, this is shareable: give your friends gift ideas by sharing the Wish List via email or by printing it out! Overall, if you own a garden, this is an inexpensive planning app that can make gardening more fun and less of a chore. Garden Organizeris compatible with iPhone 3GS, iPhone 4, iPhone 4S, iPhone 5, iPod touch (3rd generation), iPod touch (4th generation), iPod touch (5th generation) and iPad. Requires iOS 4.3 or later. This app is optimized for iPhone 5.